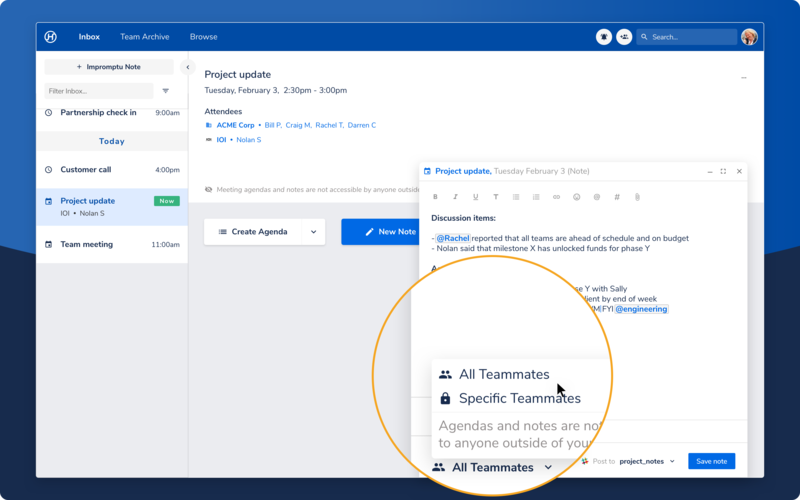 Transparency - You can use Hugo to end team silos at your company - everyone can be on the same page without being in the same room… or even the same time zone! 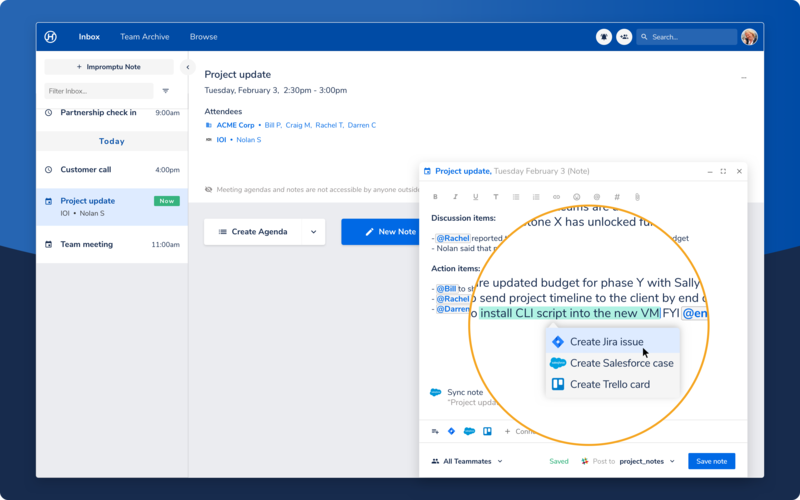 Efficiency - You can use Hugo to make cross-team collaboration faster and more organic as the right people can be looped in to a conversation in real-time. You can also create agendas that attendees can use to be prepared. 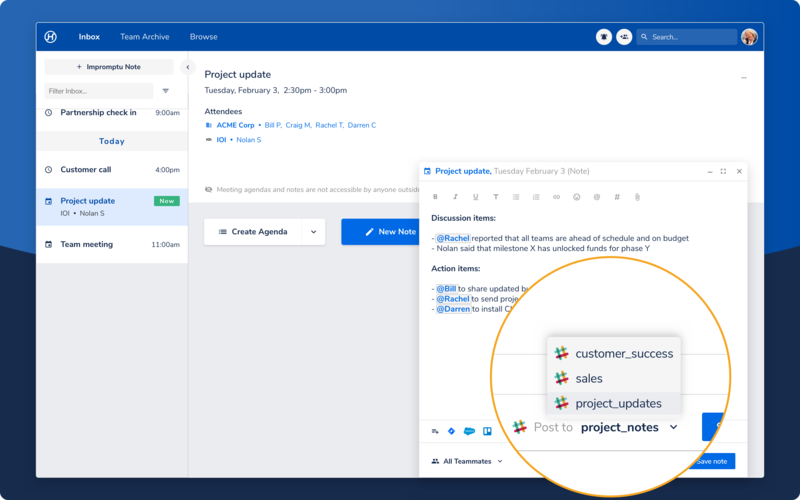 Insurance - You can use Hugo to make knowledge handover easy - all the data is stored against the contacts and companies being managed by your team. This makes it possible for one teammate to pick up where another left off.